younger counterparts and sedentary people their own age. The study was published in August in the Journal of Applied Physiology. week for about seven hours in total. determine how capillaries formed and aerobic enzyme activity. increasing risk of multiple chronic diseases, mortality and loss of independence. revolved around competition. 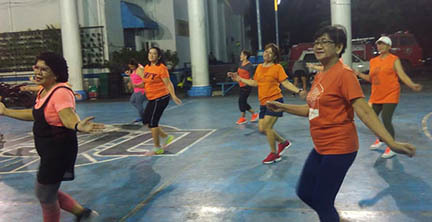 The fitness group’s revolved around simply exercising. one of those,” Trappe said. “But things like muscle health and capillaries to support blood flow, they were equivalent between the two groups. have been regularly training for decades by running, biking, swimming or whatever exercise they enjoyed. community that there’s a group of people here that are 70 and above, that started exercising in the late 60s, early 70s with the exercise boom. director tried to pull her off the course, probably the most famous running picture ever. stay in shape at a fairly high level. research from Ball State University. fitness like healthy people in their early 40’s.